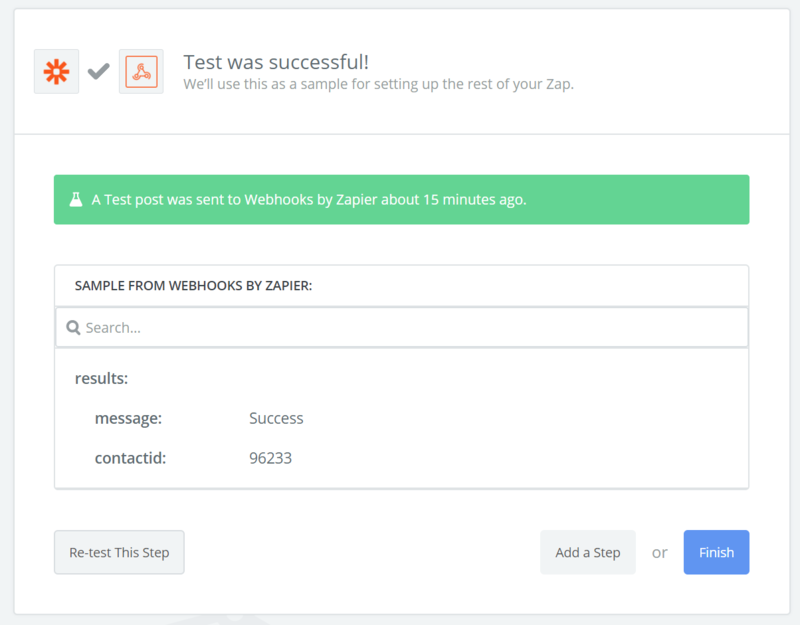 In this example, I’ll walk you through adding a contact to the system using the AllClients API from Zapier. This assumes you have some experience with Zapier, so I won’t go into all of the details of creating a Zap. The example connects to a Google Sheet and adds a contact if any new rows are added to the spreadsheet. 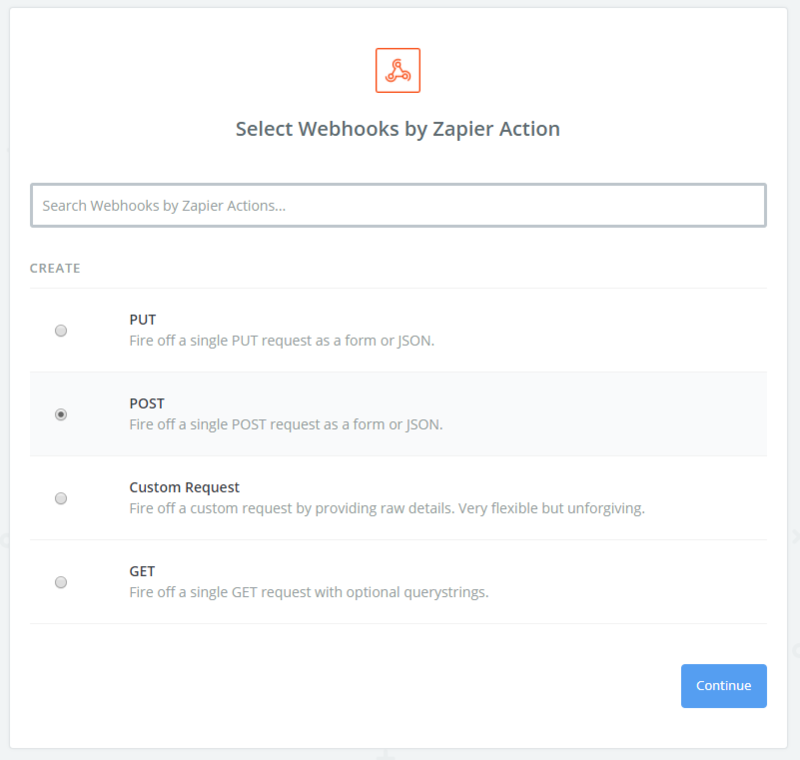 After you’ve connected Zapier to your spreadsheet as the “Trigger/Source”, you’ll add an Action called Webhooks. Then, fill in the following information. This example uses the “AddContact” endpoint, but it could be any AllClients API Function. Just make sure you read the documentation and include all required fields. Remember that you can use API Authentication (using the Account’s API Key), or use your master keys. You must add field called response_type and set it’s value to json. 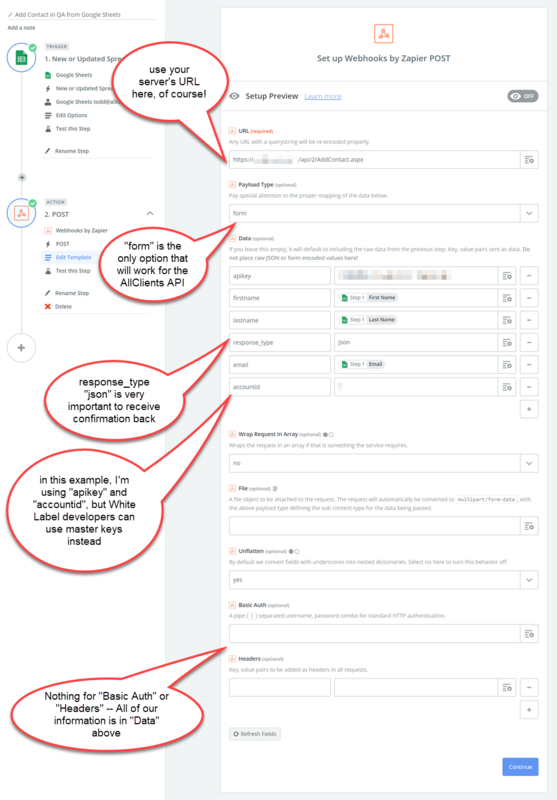 The default value in the API is XML, and Zapier does not read that data properly back in the response. After saving and running a test, you should see some kind of success message back from the API. Each allows you, as the developer, to create configurable actions within each area of your White Label system. Let us know if you have questions or feature requests in each area. We are looking forward to your feedback and enhancing these functions further to make them more powerful or you.